Earlier this afternoon, I recieved this letter from “Anonymous Kenya” Someone who has been inside the Nairobi Animal Orphanage in Kenya in some capacity and someone who obviously distraught at the taking of the 3 wild Cheetahs. I was asked to post it up and share this persons accounts and thoughts. This relates to the 3 Cheetah Cubs of the Mara Conservancy who were being cared for to be released into the wild. They were on the road to freedom, when they were unethically and without thought to conservation, taken to live a life in captivity just hours ago on 12 May 2012. To whoever you are Anonymous Kenya, I thankyou for your words, for sharing them with me and revealing that quality in humans which is becoming so rare, humanity. I can feel your aching soul through the pages of this letter. The cry for freedom is in your words, maybe a freedom that is not afforded to you in Kenya. Yes freedom is something that too many people take for granted. Thankyou for your heart and compassion to these precious cubs. I wish more people were like you. Maybe one day you can let me know who you are, but until then please accept my sincere humbled gratitude for these words of the heart and I hope that you will write to me again one day. This is from an Anonymous Kenyan citizen. Three Cheetahs, a fight for freedom from within. Have a safe journey little ones, I know you will be well cared for. I am sorry for your older years, when you will understand and be forced to resign to your fate. I apologise, that those of us who tried to help you, could not. To those who are responsible, knowingly or unknowingly, I say silent prayers for your pride, and your egos, that in future they do not end up being the root cause of a similar event. May you learn the art of humility, and may your conscience kick in and let you know what you have done. I pray you never know the darkness of confinement, as do I, because it is the deepest pit you could ever imagine. To those who think there is such a thing as a ‘happy enclosed animal’ you are wrong. I have seen what I too thought were ‘happy animals in cages’, until the day I stayed on and all the visitors had left. I heard their cries in the night, trying to reach out to those that are free in the park wilderness just metres away, speaking to them. And I saw the begging in their eyes, as I looked into them under the soft moonlight. Never have I told a soul what happened that night, I have never found the words; but today, I will try. … they broke me. Those happy-seeming animals in those elaborately designed almost natural enclosures, broke me. Just how was this happening, the same animals I smiled and posed with and cuddled and kissed and even dressed up on Christmas with fancy hats that looked so cute… broke me! How? They showed me their true life, pacing, even trying to escape. (yes, I personally witnessed this). That was when I could take no more of the sufferance and I left. Funny things, we humans are, we come in and everything is dandy in the daytime, but the dark cloak of the night revealed to me what few can comprehend. I would like to thank my dear friend in conservation, whom I shall not name, for sharing in my anger, frustration and grief during this time. If there is one person on this earth who understands the zoo like I do, it is her. As I write, my tears flow endlessly. I can imagine what is happening, and I can foresee the hours to come. This is not about conservation anymore. It is about egos, pride, tiffs, meddling, and a mistake. Once you lay your hand on a wild animal, you seal its fate. At least in this time. Until the day Kenya sees a rehabilitation program approved, this will continue. I appeal to the ‘big’ organizations, to give some focus on this pertinent matter. I realize that we are fighting ‘bigger things’, CITES is in March. Our elephants are dying, rangers are fighting daily to protect our wildlife. Please, do not ignore the little orphanage in the corner of our park, please, do not turn a blind eye to the animals in there that cry out for your help. Please, think of them, before you think of yourself, I know what your worries are, some of you worry of being deported, some of you worry that your cozy relations will be severed with the authorities, some of you even worry that you will not get approvals for further projects. I too, have similar worries, I have sacrificed many things many times for the plight of these animals, and others, so I understand you. But the time has come for you to ask yourself, are they worth it? To Born Free, and IFAW, you claim to care so deeply about wildlife in captivity. Where are you when we need you? Why do you never speak out? Why isn’t the facility here on your zoocheck list? Are we not important? Do we not also deserve international attention and assistance to improve the lives and living conditions of the captive wildlife here? People like me look to people like you for help, because you tell us you can help! You show us that you are capable of saving these animals from dilapidated conditions, you show pictures and videos of rescues and stories of restored freedom. Thank you for all you have done, but I do not live in Europe, and neither did Elsa. Your birthplace needs your help. I am torn to pieces at the new cubs slated for life in captivity. Soon they will be the ‘face of conservation’, as they begin to be put up for adoption schemes, and the cash will roll in. Everyone wants a cheetah at their event, it adds value to the audience. To some the big cats love the ‘attention’ and purr a lot, but when they come back home after a hard nights ‘work’, they are shamed, degraded, and sad. No one sees that, but I do. I have. All the dollars going into adopting them are yet to show their green. The cages are still the same, the space is still small, they don’t get an improved or even varied diet, they get no enrichment. ..and no one cares. But I do. That is why I am writing this. I have entrusted this to someone I do not know, but whose passion for this case I have seen, and I hope she will share this with as many people as possible. To many it would seem like a ‘small issue’, but for me, it is the world. For each animal in one of those cages, it is the WORLD! The Nairobi animal orphanage is no place for any animal, and it is the one place I have stood against and will continue to stand against it until such a time as the animals in it receive proper round the clock care and attention, respect from visitors, better living conditions, better food, enrichment, and a chance for rehabilitation and restitute. See you at Christmas, there should be a free entry day, so come one, come all, I will be there, dressed in my santa outfit, to match the santa hats on the animals too. Incase you’re late, I’ll still be there, cleaning up the biscuit and sweet wrappers from the irresponsible visitors. The saddest volunteer on earth. “You don’t have to be a man to fight for freedom. All you have to do is to be an intelligent human being.” Malcolm X. On the morning of March 1st, 2012 three young wild cheetah cubs of 2 months old played with their mother in the grasses near Mara Triangle situated in the Western section of the Masai Mara and managed by the Mara Conservancy. The mother left her cubs and was observed hunting in the core of lion territory, a high risk and dangerous place for a lone Cheetah to be. As dusk arrived she did not return to her cubs. By the morning of March 2nd, the mother had still not returned and the three cubs were found alone and calling out for their mother. The Mara Conservancy rangers quickly sent a report to the Kenya Wildlife Service (KWS) Veterinarian Dr. Dominic Mijele stationed at the adjacent Masai Mara National Reserve. 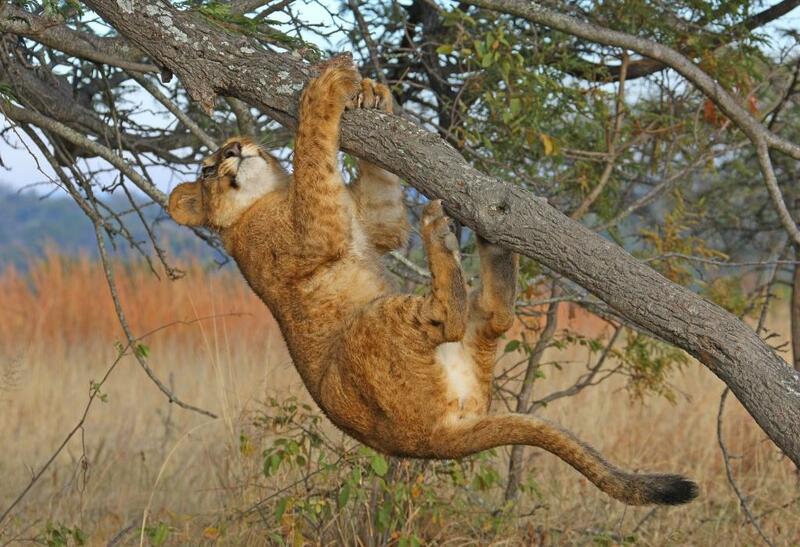 Dr Mijele then called the Mara Conservancy (MC) asked MC directly to go out and rescue the cubs. 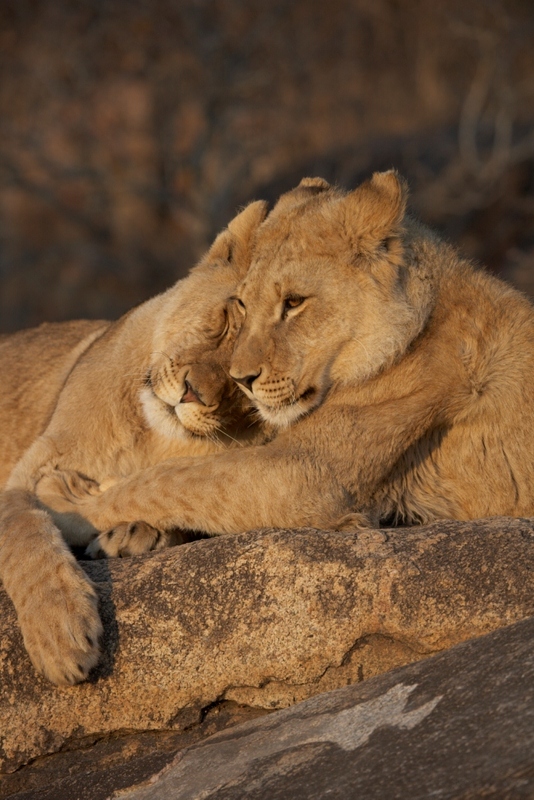 The MC relayed that their five patrol vehicles were out looking for the mother in the surrounding area and would not capture the young cubs until last light – if the mother was not located, the cubs would be rescued. 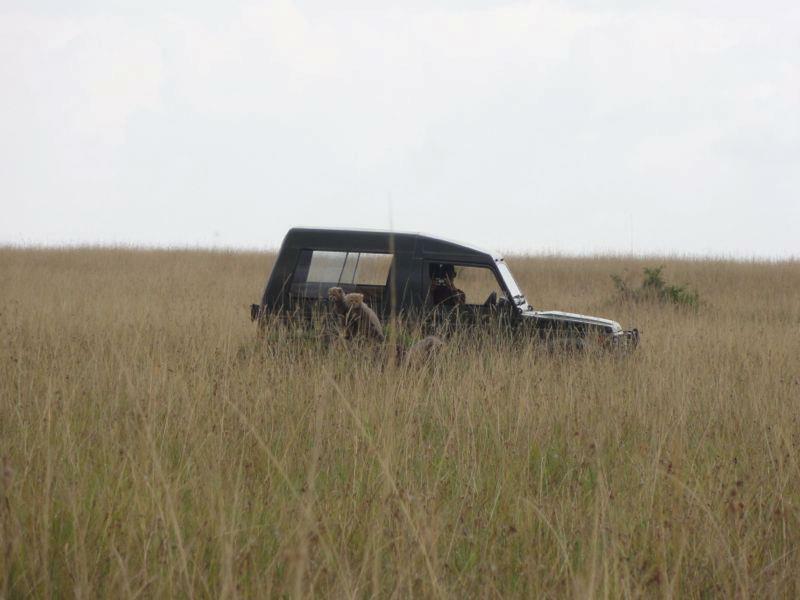 In the event that the mother was found in the days following, the Conservancy would attempt to reunite the cubs with their mother.At last light, MC patrol vehicles still could not locate the missing mother. Once widespread across the African plains, the cheetah has lost 76% of its historical range state and has continued to be threatened by further habitat loss, competition with rival carnivores and persecution by farmers. The cheetah is listed on the IUCN Redlist as a vulnerable and are a CITES Appendix 1 species meaning they are the highest protected and endangered of species. Population estimates place between 9000 to 15,000 cheetahs remaining in Africa, and in 2012 it is estimated that there are just eight cheetah in this particular area of the Mara Triangle. 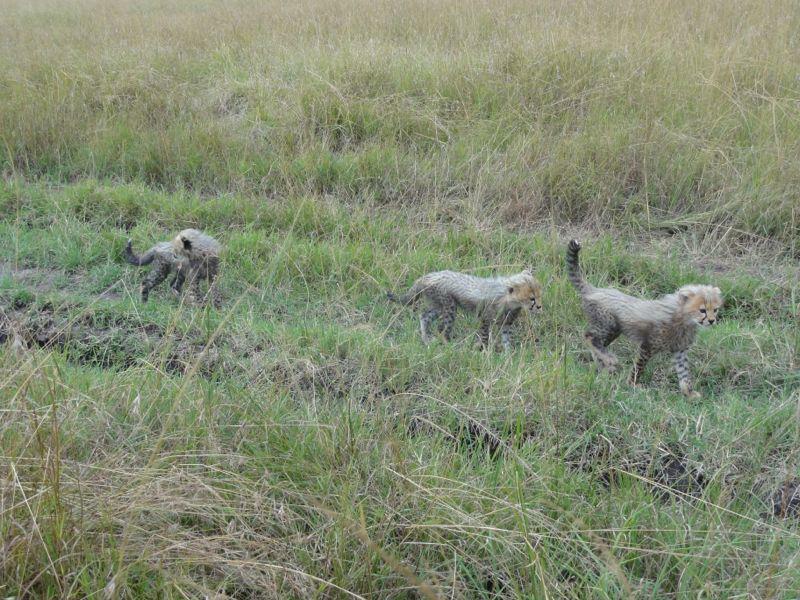 After searching and waiting for the return of the mother for a few more hours and as the death of these cubs was imminent if left to fend for themselves in the wild surrounded by carnivores, the rangers rescued the cubs and transported them to Mara Conservancy (MC)Headquarters. From the outset, MC’s goal was to raise the cubs with as little human contact or interaction as possible and return them to the wild when they reached 12-18 months and are able to hunt for themselves. Mara Triangle is a gazette “protected area” and cheetahs were kept in a manner where cubs were prepared to be released. A program was designed for this re introduction into the wild in conjunction with Kenyan Wildlife Service in line with previous successful cheetah release programs. A safety specific enclosure was made of predator proof cattle fencing to protect the cubs from the nightly visits from the surrounding local hyena, leopard, lion and baboons, and human exposure was restricted to 3 people who fed and cleaned the enclosure. During the first month of the cub’s rehabilitation, KWS vet Dr. Mijele, came to inspect the young cheetahs and to assess their health. They also discussed the steps and program of rehabilitation and release in to the wild. He noted that the cubs are in good health condition and the ensured that the enclosure was correct. It was agreed between MC and KWS Vet that when the cubs reached 6 months old they would be moved into the next stage enclosure. A 100 hectare area of cheetah prime habitat was identified and consisted of savannah grasslands, water sources and plenty of prey. In the meantime they would be released into progressively larger enclosures. 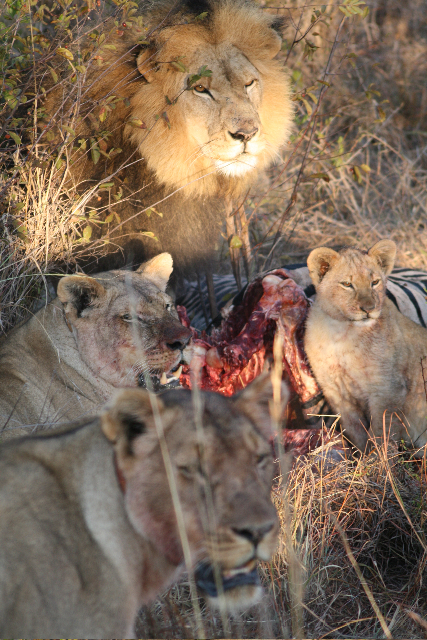 It was also noted that MC would maintain the cub’s wildness as much as possible and restrict all visitors. The cubs have never been bottle-fed in order to avoid human dependency and have retained their naturally wild nature. On the 3rd May 2012 when the cubs turned 4 months old, for reasons unknown, at the time, KWS contacted Mara Conservancy and informed MC that they would be coming to pick up the cubs for relocation to the Nairobi Animal Orphanage. The Nairobi Animal Orphanage currently keeps 12 cheetahs and 26 lions and is over crowded with little room left. Its alledged that no animals that have arrived in the Nairobi Animal Orphanage have ever been released back into the wild. The Mara Conservancy CEO requested a meeting at KWS HQ and an agreement was reached that Mara Conservancy will submit a official proposal to the KWS director Julius Kipng’etich for the rehabilitation of these cheetah cubs. The proposal was sent on the 5th May 2012. On the 6th May 2012, Mara Conservancy was informed that the submitted proposal will apply for future incidents and not for the current three cubs. In a further statement, KWS Senior Assistant Director (Head of the Species)sent a the letter stating that the movement of orphaned cheetahs to Nairobi Orphanage is authorized. On 7th May, the reply from the KWS director stated that cheetah rehabilitation back to the wild is not scientifically proven to be successful and until the day the science does prove this, the cheetahs will kept at the orphanage for educational purpose. However, the scientifically documented cases of Africat’s cheetah and cat release programme is very well known world-wide, 1000 cats rescue and a 86% successful release rate, addtionally stated on Africat website. 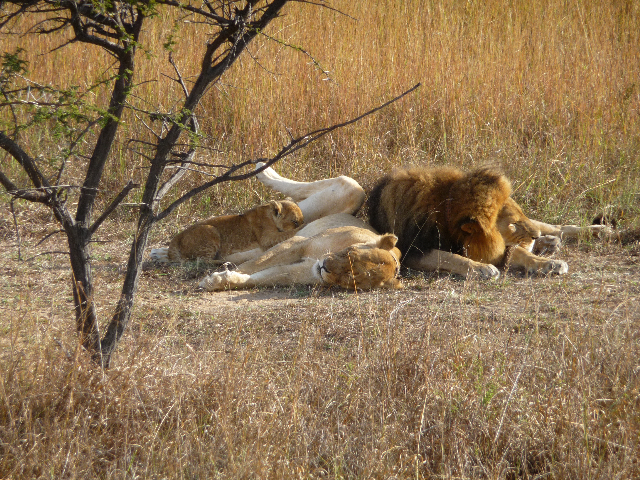 Mara Conservancy was notified by KWS that the cubs will be taken to the orphanage on 8th May 2012. Mara Conservancy was reliably informed by the Head of Hyena Research Project, that one of their students had taken photographs of the cubs soon after they had been rescued and while the initial enclosure was being built. An informant came forward and alledged that this information was sent onto Mary Wykstra of Action for Cheetah who then wrote to KWS Carnivore Committee and forwarded on a news letter stating her views on private owners with cheetahs asking for reform. She claims that she has been informed that people were letting visitors to see the cubs and allowing them to play with the cubs, when in reality cubs are wild and not even approachable by human. It was confirmed that Ms Wykstra has never been to the Mara Conservancy in 6 years. Hyena Research Project apologised immensely to Mara for this students, innocent/unknowing behaviour and resulting outcome. 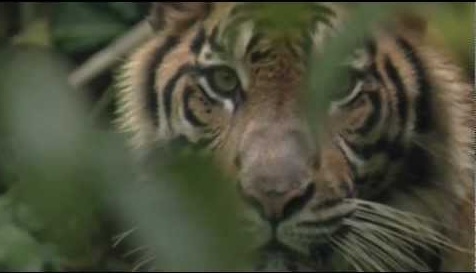 On the evening of the 7th May 2012, Australian Conservation organisation Cee4life CEO, Sybelle Foxcroft, wildlife biologist and cat specialist, was contacted and informed of the situation. 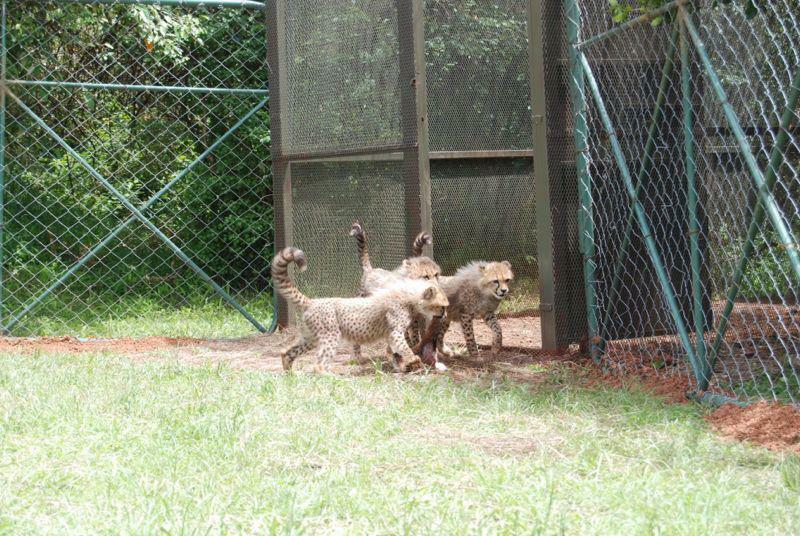 Cee4life was asked to assist in any way possible to allow the cheetah cubs the opportunity to be released into wild. The Cee4life CEO contacted IFAW HQ USA and forwarded on all information. IFAW responded immediately and Cee4life was informed that this information was passed onto IFAW Nairobi who had begun discussions with all relevant parties involved with the decision to cage the cheetahs. Cee4life issued an urgent plea to KWS for the cubs to be left in the Mara Conservancies release program. On May 11th 2012, Mara Conservancy received a phone call from KWS stating they would be taking the cubs to the orphanage on 12th May. 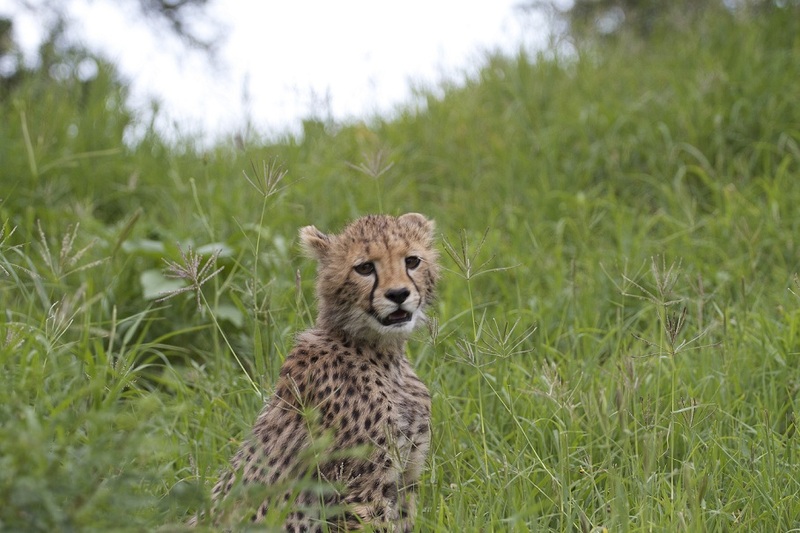 In the last two years, there has not been a single surviving cheetah cub in the Mara Triangle. 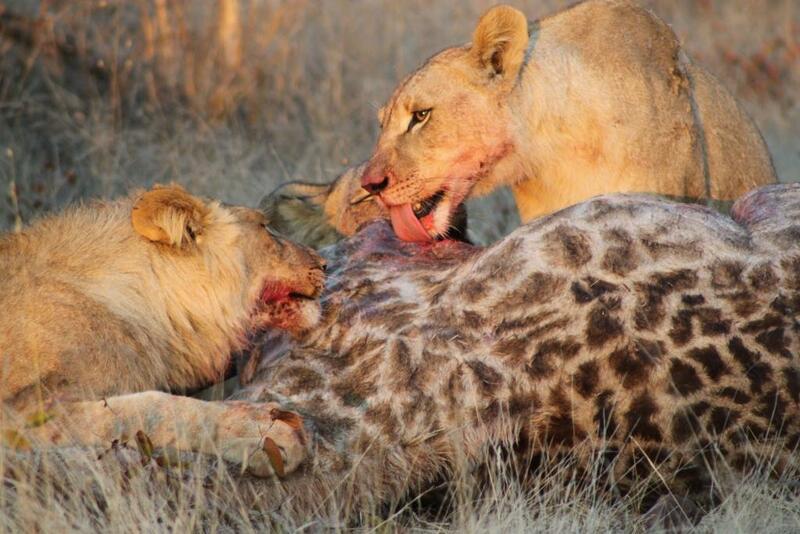 A total of 16 cubs have been killed by hyena, leopard and tawny eagles. If these three cubs survived to adulthood, they would be the first to contribute to the Mara cheetah gene pool in almost three years. Along with Africats successful releases, there has been the release of other well known cases of cheetah release into the wild which has been unofficially scientifically documented and the successful methods of rehabilitation are now well known. These cubs are now four months old and they have passed through the first step in rehabilitation back to the wild and were readying to be released into the next stage 700 m enclosure. • Ms Wyskstra’s Action for Cheetah Kenya is funded by organization called Cat Heaven in the USA. 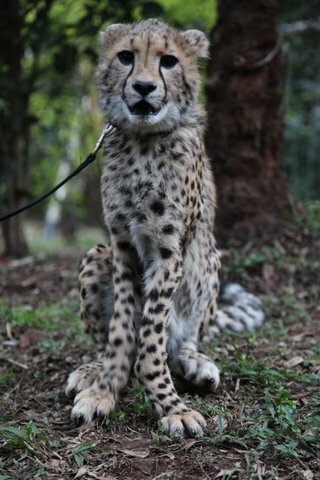 • Cat Heaven is planning to build a “Cheetah Center” in an area across from the Ndarit gate of Nakuru National Park. 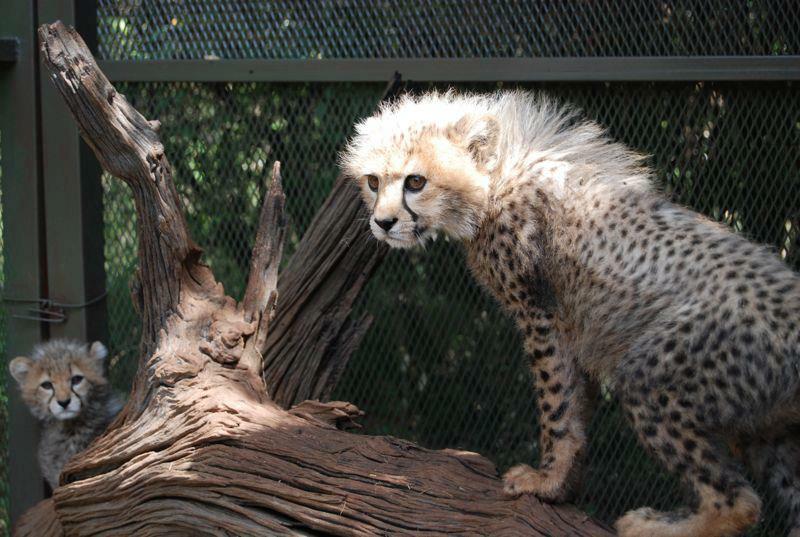 •Cheetah Center is proposed to decongest the already full capacity orphanage cheetah population. 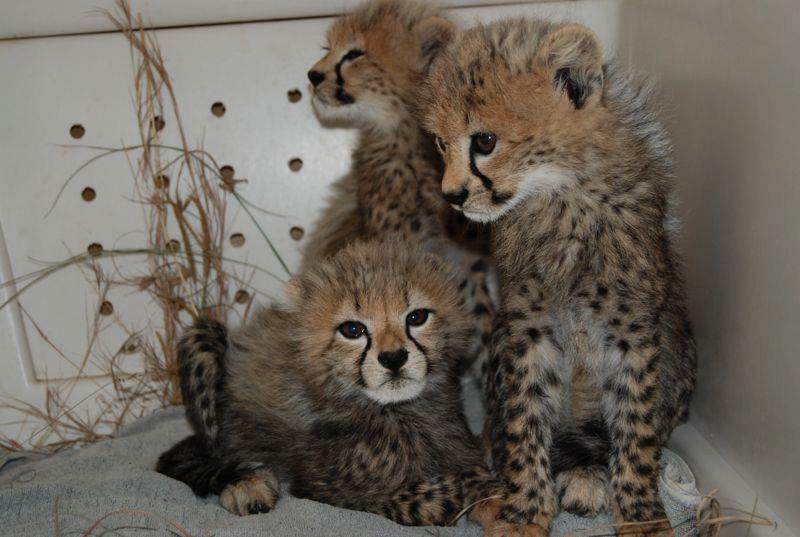 • The Cheetah Center is planning to start a cheetah cub rearing facility and in need of cubs. On this point, Wendy Wichelman-Debbas, the president of Cat Heaven (Project Survival), has denied this is true. Many will hold Ms Wichelman-Debbas to her word. • And most worrying alleged information is that misleading information was/is being sent to KWS to favor cubs in certain places/facilities for stock. The board of KWS have passed the final decision of cubs removal. 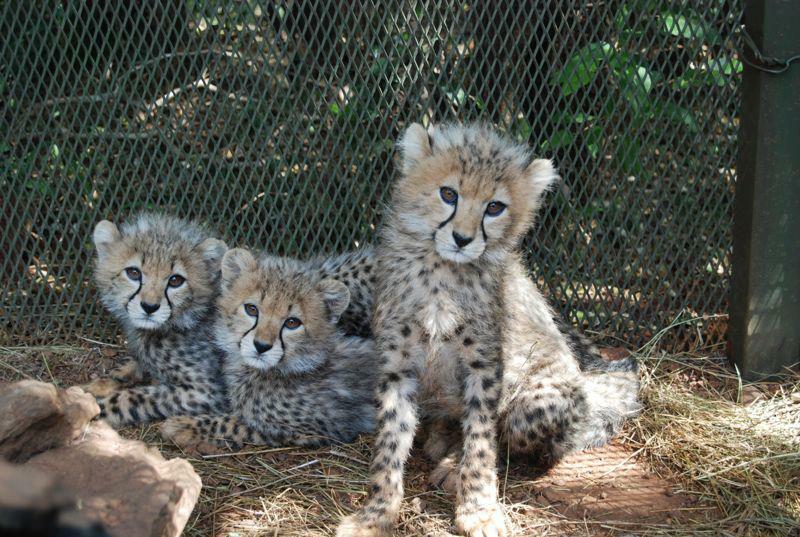 We have been informed that KWS allegedly decided to confiscate these Cheetah Cubs based on misleading information. KWS vet Dr. Dominic Mijele visited the Mara Triangle on March 31st when he assessed the cubs’ health condition to be good and the enclosure was in good order. No one from KWS has came to see the cubs for at least 6 weeks, up to and pending of present. It is alleged that the board has been misinformed and are being urged to send down the assessor to evaluate the situation before such a drastic measure is taken. Mara Conservancy has been offered assistance by carnivore release expert from MCCE (Marakapula Conservation and Community Experience) in South Africa, who specializes in carnivore rehabilitation, and who heard the news in the mainstream media and on social media and hoping to be in partnership with Mara Conservancy to help with rehabilitation for the cubs. 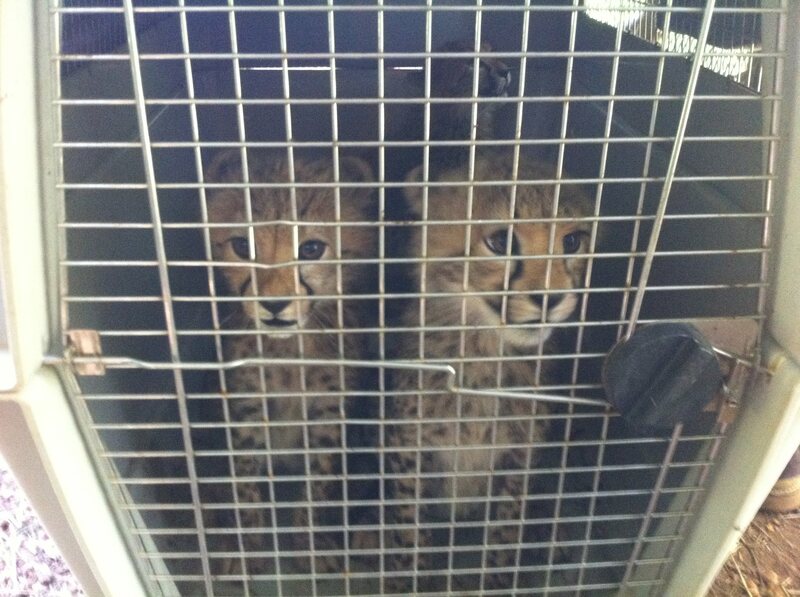 These young Cheetahs are prime candidates for rehabilitation and release into the wild. It is hoped that Kenya Wildlife Service will work with Mara Conservancy towards a successful release of the 3 cheetahs, and give hope to a life of freedom as was intended. 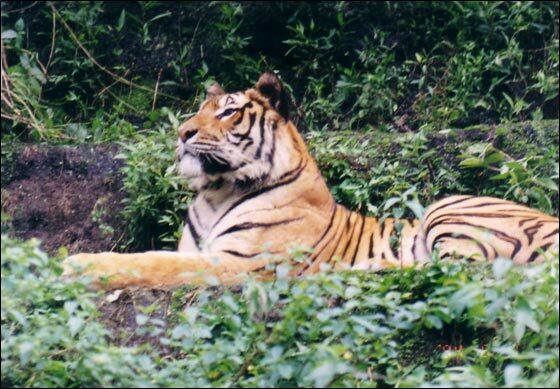 Wildlife authorities and conservationists are deemed to care and conserve for biodiversity. We must carry out those duties to the best of our abilities and with the goal to conserve every wild creature that comes into our human realm. On too many occasions it is our human actions that have caused the decline of so many creatures. This is an opportunity to work together towards the freedom of these cubs, the very least we can do is help these cubs rehabilitate back into the wild and not allow them to fall prey to the falsities of human beings with agenda’s. It is clear that these cubs are neither abused or mistreated or in ill health. Please give these cubs the opportunity to be cared for and released into the wild at the age of 12 – 18months, in the name of conservation. The KWS arrived at Mara Conservancy a little before 10am and captured the cubs. The cubs are now being taken to Nairobi Animal Orphanage for what is thought will be a life of captivity. The call for ethical conservation continues as these cubs now face a captive life and may become exploited. Those involved in the result of these cubs heading to a possible captive life are the farthest from “conservationists” that exists. When needed, not one of these people stood up and fought for the cubs to be cared for and released back in to the wild. Shame on them. Here is one of the last photographs taken of the cubs leaving the Mara Conservancy. Scott Lupien is an American who runs a hunting business in China for clients to hunt the polar bears of Canada, the animals of Africa, Carnivores prey species, and many others. His webisite is http://www.52safari.com and business is good. I spoke to this guy to try and find out the mind of the hunter. Hi Scott, thanks so much for writing to me, I really do appreciate it. I would like to talk with you more, in a calm and polite manner. I have a couple of questions for you. Im also a Wildlife Biologist and also have been in the military for 20 years, a medical Sergeant. As you can imagine I have seen some terrible things that people do to each other in a war zone, but Ive also see what they do to animals. Life is a precious gift, and I can speak first hand that an animal loves life just as much as a human does. There is a mind set and certain characteristics, a pyschology you might say, for the types of people who choose to kill, whether they kill a human or an animal, it is the same. Its like a rush that they get. I can tell you this though, when those same people are put in a similar situation that they put an animal in, they crumble to their knee’s. People dont show the dignity that animals do. The first question I would like to know, from your point of view and from your experience, what type of person is attracted to canned hunting? As you know, the real hunters that are used to track true threat animals, man eaters, and are up against a wild and fierocious creature out in the wild, not fenced. Usually a creature that is injured in some way, and a creature that can only hunt the easiest prey in the world, the human. These people that are coming to your hunting seem to be quite tame. I dont think they’d ever consider only being contracted to hunt true dangerous or threatening creatures. Would they? I’ll tell you a story, I was out in India in the field tracking a female tiger and her cubs, checking on her. we stopped and rested, I was sitting on a fallen tree. From behind me she came out of the bushes and stood there, 20 feet from me, looking at me intensely. She came towards me and her scent was very strong. Her eyes and her might could have killed me in a split second, but she turned and walked to her cubs. My second question is, what do you think your clients would have done in that situation? (besides pull the trigger of course). Yes as a soldier, I know what people are like and what they do to each other. As a Biologist and conservationist, I know what people are like and what they do to animals. So my third question is, Would you and your clients ever have the guts to lay down your weapons and take a walk with me into the wild, as a test to education and to really experience what life is all about? You see out there, money means nothing. but I think you know that. Looking forward to you responses. And BTW – Polar bears are not in abundance, they are loosing their ice terriorites and mating with brown bears etc,and they are dying from long swims and loss of cubs, and of course hunting, the polar bear species is becoming extinct and it would be great if you and your friends would choose only to dart them, (even darting as a sport is vile) and not buy the licences off the natives in order to kill them. Scott, surely you are intelligent enough to make money another way. Also, did you read the three links I sent you? I know that the popular belief (thanks to the media) is that polar bears are going extinct due to polar ice caps melting. But this is not true. The ice caps grow and shrink and the northern ice cap did shrink to about 30% below norm about 10 years ago, when the warming trend peaked. But did you know that global temperatures have cooled since then and the ice cap is back to its normal size? Polar bear populations remain stable and the annual hunting quota is well managed and controlled. 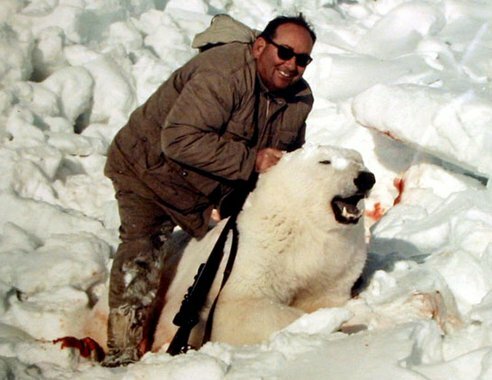 Polar bears will be hunted by the Inuit regardless of whether foreign hunters are allowed to hunt them or not. If foreign hunters do hunt them, they only take bear tags from the total quota allocated to the Inuit — and this brings income to the tribes. I recommend you read the above link. Another gross misunderstanding that the public has of me is that I am in this for money. I can assure you that this is not true. Sure, this is how I make a living, but I can tell you that it was much easier to make money (and I made much more) when I was a business development executive for a software firm. The reason I do this business is simply because I love being in the outdoors and I love hunting. It is a lifestyle choice for me — not a monetary choice. You probably get the idea that I know little of nature and don’t care about animals. Frankly nothing could be further from the truth! I have been trekking into the wilderness since I was too young to walk (my dad would carry me then) and have been on countless wilderness trips that didn’t involve hunting. I also care a lot about wildlife and am not a ruthless killer who shoots everything I see (so to answer your question about the tiger, no, I would not have shot it nor would I have allowed a client to shoot it for two reasons: tigers are protected and even if they were not, hunters don’t shoot mothers with young.) Non hunters have a tough time understanding the mindset of hunter-conservationists who proclaim to love the animals they hunt. I would hope that you might understand great men like Teddy Roosevelt and the founders and members of institutions such as Ducks Unlimited. These are the very people who created and have funded the national parks, national forests and wildlife refuges and countless millions of acres of wild lands for the purpose of saving wildlife. We, the hunters, are the ones who are paying to save wildlife. Again, read the links I sent you if you want to understand more. Most of the hunting we do is in vast, wild areas (not “canned”, as you put it.) Yes, some of the areas we hunt are behind fences, but these are huge tracts of wilderness and the fences are there to protect the refuges inside from poachers, etc. When the area is in the thousands of acres or more (as these are,) the animals are just as free to evade predation as they would be without the fences. Thanks again Scott, its giving me a better insight into all of this. I have heard and seen a great deal of arguments over this. I am reading through all of your information as we speak. I understand that some animals are in very high numbers and breed very quickly, and at times some of them are culled. However, it still doesnt answer the question in regard to why people want to kill the endangered majestic ones, like the Lions, Rhino, Bears etc. Is it a power thing? 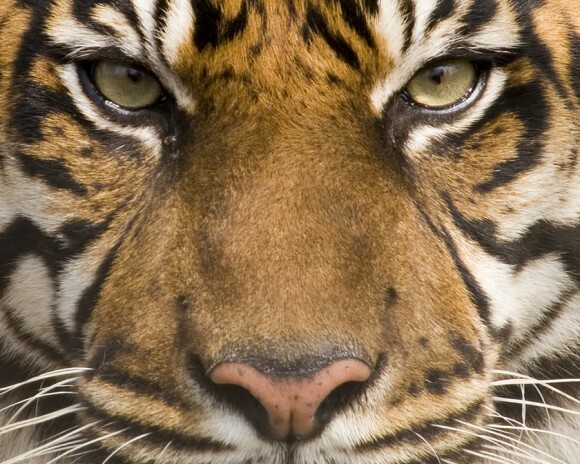 you know humans against the Apex predator, a flex of strength or control? At the end of the day, humans will always be the weaker species than the Apex predator. I dont see why they just cant accept that. Because I have a pretty big insight into the nature of people and how horrid they can be to each other, I see so much ego within the sport of killing animals. I just dont get how a person can be wathcing a beautiful creature running, walking, swimming or flying free and the need to shoot it and kill it…. Can you explain that one please? Also, I know for a fact that there is a great deal of money made in this area. And I can also tell you, for people like me, trying to save these creatures, there is NO money in it at all. We live in tents or sleep in four wheel drives, not hotels etc. 5 star is a rare thing, if ever in conservation of my kind. Lets put it this way, if you can run a business killing animals, youre making more than i do saving them. But again, the richest gifts are seeing these creatures run wild and free. The rush should be to watch them in their environment, living, not hunting them for a trophy. It will mean nothing when there are no animals left. I know you understand that. And I know you understand that all life is linked, and what we do to them, we do to ourselves. You may not think that you are doing any harm, but your and the other 1000+ hunting business’s are as a whole. Is there a way to stop this? Woud you support conservation like I do – hunt the poachers, stop the wildlife trade, stop the slaughter? 1. Where did the original lions come from? Were they captive raised? their cubs (which are inbred), into the program to save them from being euthanized. These two lions (only one of which is still alive) are the only lions in the program that were wild born. The mother of the cubs is captive and therefore does not have the skills that the cubs need to learn to survive when given the opportunity to fend for themselves. It is also not possible to give those adult lions the opportunity to learn the necessary skills. The cubs are taken away and hand raised as by doing so we are able to provide a means for those cubs to develop their natural instincts. The cubs are taken away at 3 weeks old which allows them to take advantage of the more nutritious milk that mother’s provide in the first days post-partum, with benefits for the cubs immune systems and overall health. Antelope Park have also found that three weeks is ideal in terms of the cubs development; taking them younger and the cubs maybe bond too much to humans with greater safety issues for their handlers and seem to develop less quickly, but taking them later and the cubs struggle to bond sufficiently that they trust their handler enough to go on walks during which they develop their natural instincts. When the cubs are removed the mother is placed in another enclosure, with food, and with her usual kin-group with which she then remains. She does not see the cubs again. Whilst you have not asked about cubbing intervals, I shall provide some information here as a common assumption is that Antelope Park force breeds females as it is commonly asserted that the canned hunting industry breed with females as soon after cubs are removed as such action causes the female to come into oestrus quickly. It should be noted that conception during the first four months of the loss of cubs is unlikely so the voracity of this assertion is not necessarily correct. But yes, it is likely the canned hunting industry breed more frequently than wild lions would and I am sure they try to breed immediately. In the wild, when a litter is raised to maturity the mean litter interval is 601.5 (range 481.7 – 721.3) days at Phinda ; In Serengeti NP the mean was 600 days (range 330 – 750)  when a litter was raised to maturity and a range of 120 – 180 months if it lost. 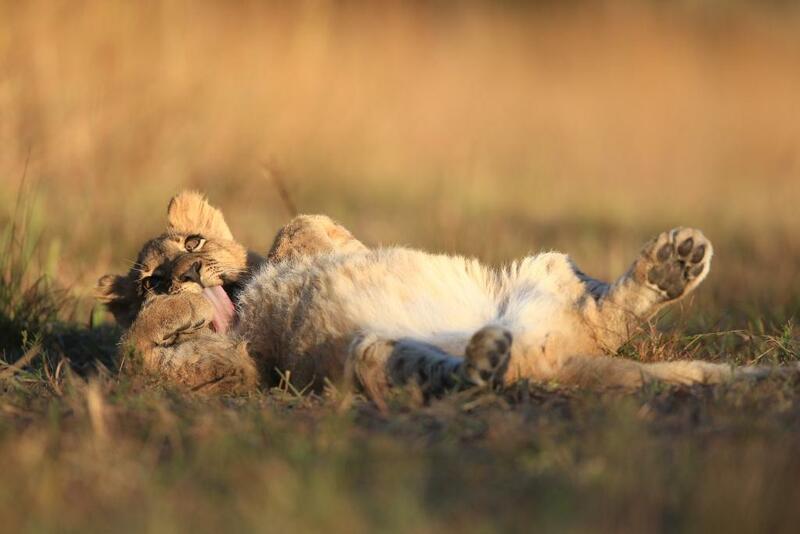 I have obtained the details of Antelope Park’s breeding rate for females that have had more than one litter; 527 days for cubs that survived at least three weeks and 314 days if the previous litter was lost during the first three weeks. The breeding interval is therefore slightly below the mean for wild lions, but well within the range of both quoted studies. Hunter LTB (1998) The behavioural ecology of reintroduced lions and cheetahs in the Phinda Resource Reserve. Kwa-Zulu-Natal, South Africa Ph.D thesis, University of Pretoria. 3. Walk me through the training that you give to the lion cubs. 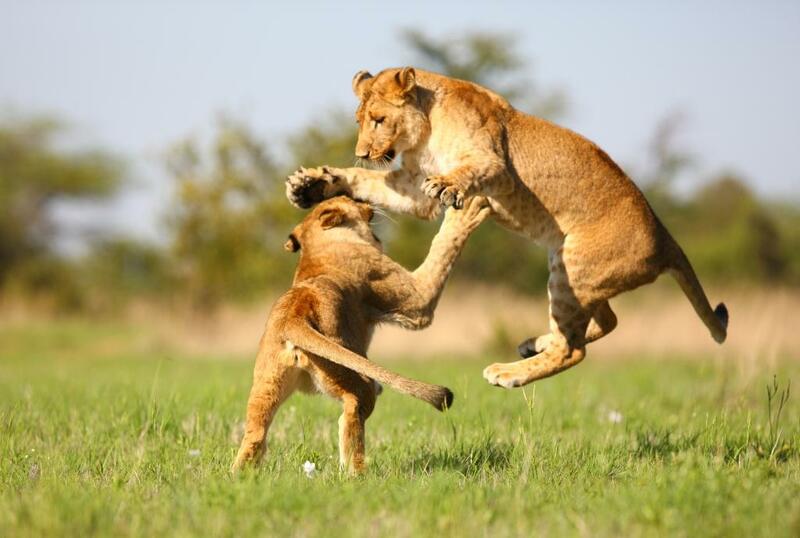 jumping up or trying to play with a human (which for a lion would usually include the use of teeth and claws). 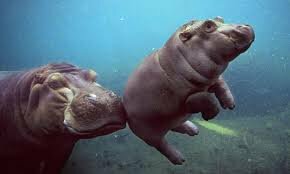 The most effective and humane method is to administer a flick (for young cubs) or a slap with an open palm (for older cubs) to the side of the muzzle whilst using the word “no” in an authoritative tone. Through this method the youngest cubs learn the limits of acceptable behaviour with humans and soon understand the word “no” such that they will cease any intention to play with a human if the command is used. When older this command is usually accompanied by pointing at the lion and looking at it. As opportunistic animals play is often initiated when the object of play is unaware of the oncoming interaction, and usually not followed through when the instigator feels it has been spotted. This is to be honest difficult to appreciate unless you have seen it and equally difficult to comprehend that it would work, but I can assure you that the cubs are not harmed through this method and it does work; it is the only method used. For example, a flick, or a slap on another part of its face could cause injury and is therefore not done, and the lions are never hit with anything else. Having said that, there are some well documented examples of when a lion has over-stepped the boundary and a small number of people have been injured. I actually fairly recently calculated the odds of injury by interacting with our lions compared to other causes of injury in response to claims that our program that allows visitors to interact with the lions under certain conditions was unnecessarily dangerous. It turns out, according to US statistics that you are more likely to die from intentionally injuring yourself than you are from being injured (over and above an occasional surface scratch) through interacting with these lions in the manner undertaken by Antelope Park and Lion Encounter. You are significantly more likely to die in a car crash. You are more likely to die from using a toilet. 4. A lot of people think that breeding lion cubs in captivity is wrong. Can you tell me the benefits of captive breeding in your program? Lion populations across Africa have declined considerably, estimates showing a decrease of about 30% in the last twenty years. With few exceptions, lion populations now occur as isolated remnants with doubtful long-term viability. Natural re-colonization of areas in which populations have decreased or have been eliminated is unlikely given continued fragmentation of remaining suitable habitat. This raises the importance of interventionist approaches in lion conservation through translocation and reintroduction programs. 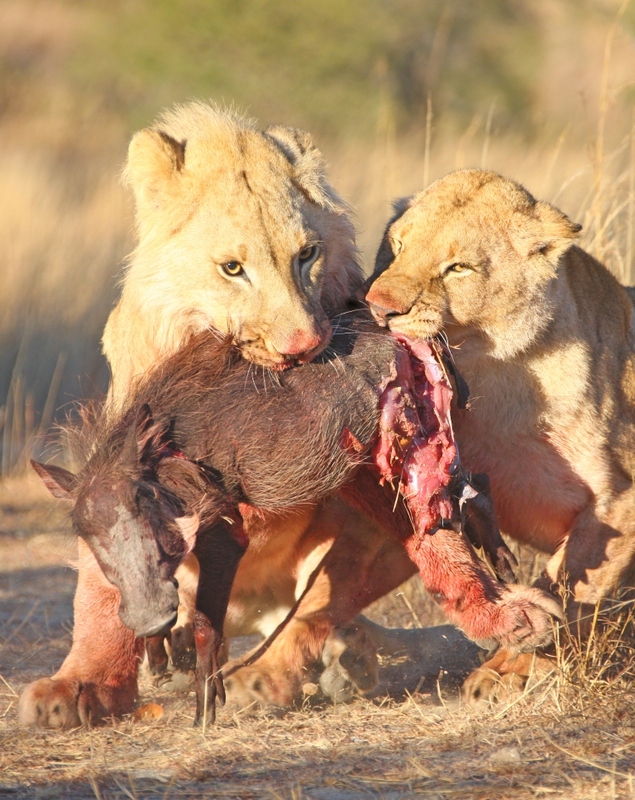 The costs and logistical complexity of any reintroduction program are high, and as such, the purpose of this paper is to examine the suitability of wild-caught lions as source populations. We estimate that only six geographically clustered populations contain sufficient individuals to potentially serve as a source for reintroduction programs but analysis of the risks of inbreeding depression and disease prevalence within free-ranging populations precludes their use in reintroduction programs even if genetic, political and economic barriers to their use could be overcome. 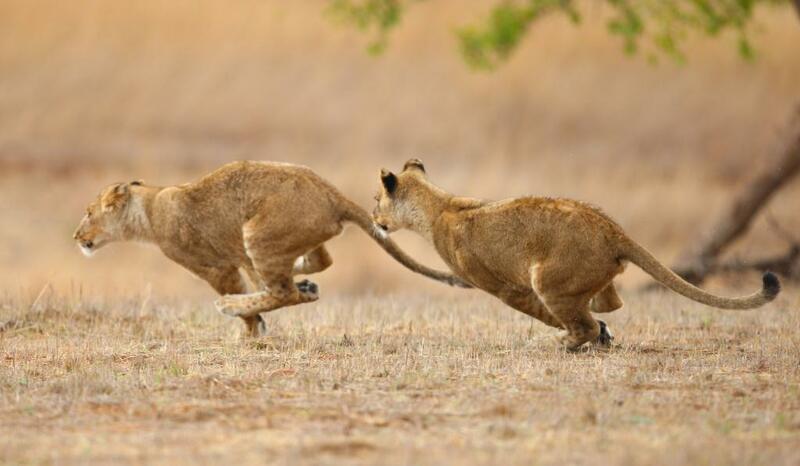 The use of captive bred lions potentially allows barriers that make wild-caught lions non-viable as a source to be removed; however, reintroduction of captive bred stock brings additional complexity in reintroduction methodology. 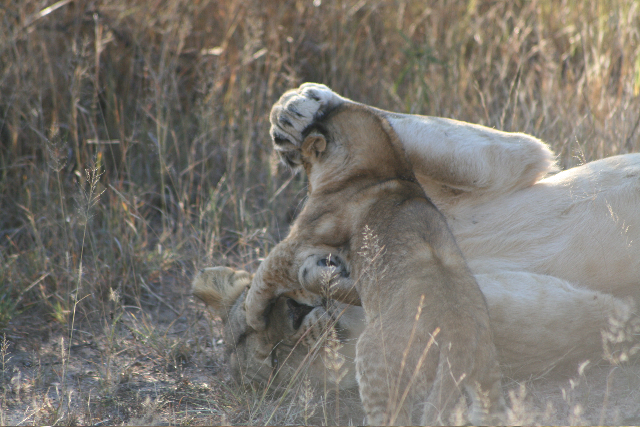 Much of the issues people have as regards captive lions is the images they see of people holding cubs and bottle feeding them in their arms, and the parade of people throughout a day through whose arms these cubs have to endure attention without sufficient time to rest and partake in species specific behaviours necessary for their proper development. This in my opinion constitutes animal abuse and should not be permitted and it is not permitted at Antelope Park or Lion Encounter. 5. Obviously your facility has limited space for the Lions. To prevent overcrowding, how do you manage the breeding rates? groups are maintained next to each other so, even through a fence, they can continue to socially interact with both genders so as not to decrease social ability. 6. You have 3 stages that the lions go through, can you explain that to me a bit more in detail?. time to have them out and about, in a way that keeps people safe, as lions are more active at night and allows them to practice their hunting skills further at a time that is most natural to them. A red spotlight is used to monitor the lions. Then there is the release stage where the lions have to exist in a semi-wild environment (semi-wild meaning fenced and managed) and become socially stable and self-sustaining; free of human contact. ALERT researchers observe, from a caged vehicle to break up our form. 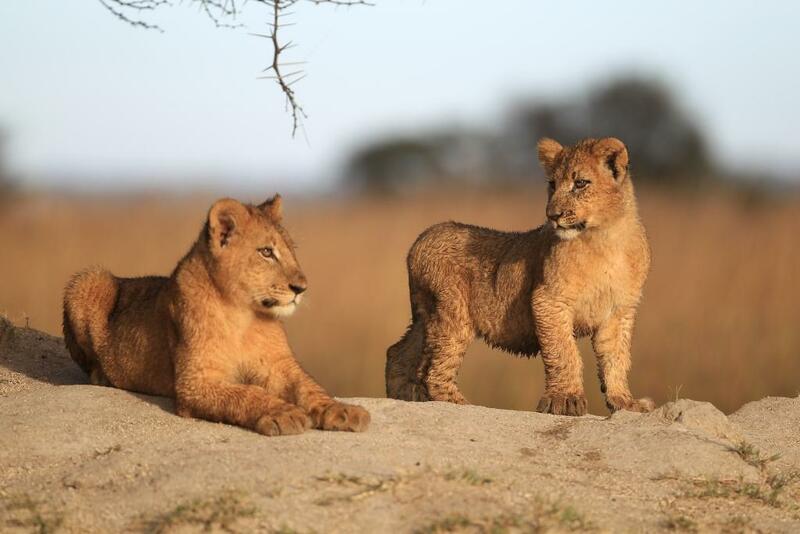 In these areas the pride has cubs which can be released into the wild (big debate on what that means starting now….but we mean a natural area, sometimes fenced, sometimes not, managed to a lesser degree and free-ranging with the opportunity to form a territory of expected size, with interactions with the usual range of African wildlife species). This release will follow standard translocation and reintroduction techniques for lions that have been used successfully for many years. 7. Some of the lions have been sold onto other venues. Which venues have taken them?. Do you keep a track of them? (ie: check on them) & have any of your lions, that you know of, ended up in canned hunting venues? There were two sales of lions from Antelope Park to South Africa which are well documented and have been the focus of an article in the UK’s Times newspaper claiming that they were sold to hunters. Antelope Park complained to the UK’s Press Complaints Commission which commenced an investigation into the sales. Documentation was provided by Antelope Park including the export permits issued by the Zimbabwe Parks & Wildlife Management Authority that states clearly that the lions could not be used for hunting. Letters were also provided by the two buyers stating that the lions would not be used for hunting. The onus to ensure that this stipulation was upheld was placed with the South African wildlife authorities as it is their legal jurisdiction. As a result of this investigation the PCC ordered the newspaper to retract the article and issue an apology which was printed later in the same newspaper. 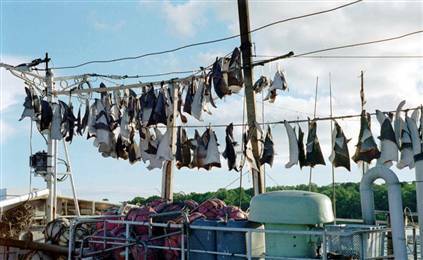 Other claims of animal abuse were also made and again, evidence of these untruths were provided including letters from various independent parties to attest to the fact that the animals were well cared for. This is all well before my time starting work for the organization and I am not aware of action to track these lions after the sale. It is possible that the lions were subsequently resold against the conditions of the sale and ended up in the canned hunting industry. It is also possible that they did not. 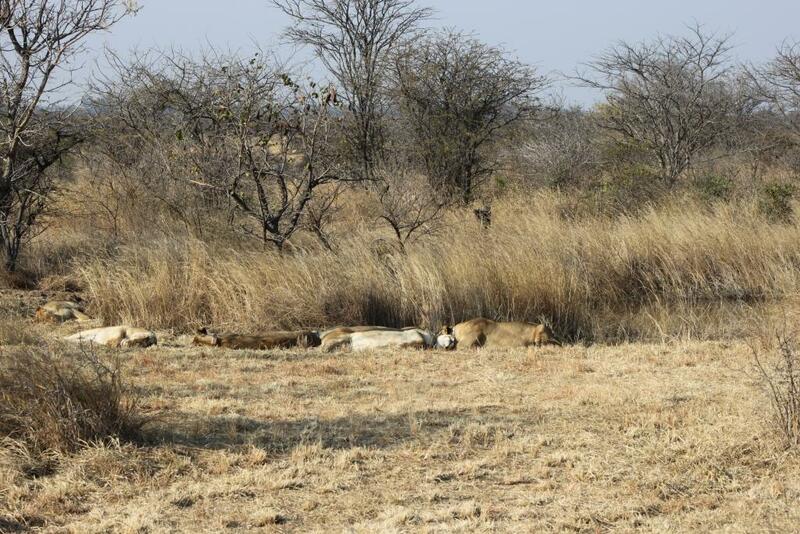 It is possible that these lions were used to breed with and those offspring were used in the canned hunting industry. And again it is possible that this is not the case. I personally believe that it is quite likely given South Africa’s lax legal systems as regards wildlife, that at least some of these lions ended up being hunted, but I have no evidence to support this belief. I am also confident that legal measures were adequately put in place that this should not have happened. 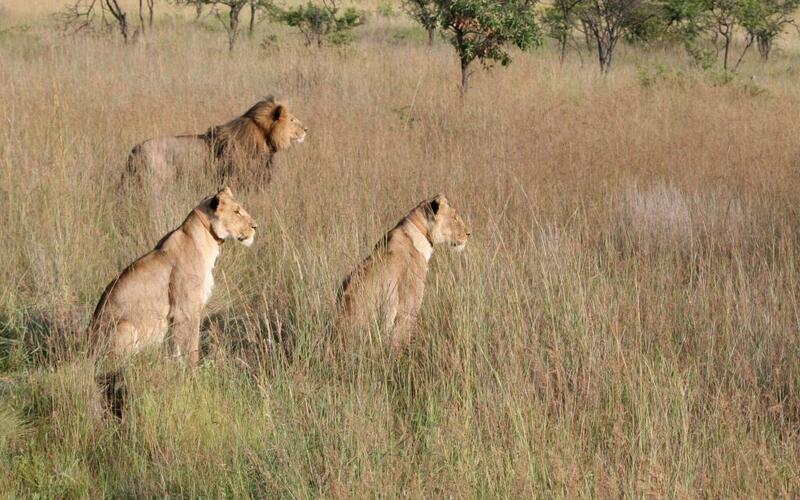 Lions have been donated to ALERT for release into the next stage of the program; the Ngamo & Dambwa release prides. One inbred lion (Nduna) for which Antelope Park was providing sanctuary was transferred to Ballyvaughan Sanctuary in Harare at their request and one adult breeding male (Teddy) was transferred to Imire, near Harare, at their request, both in 2009. 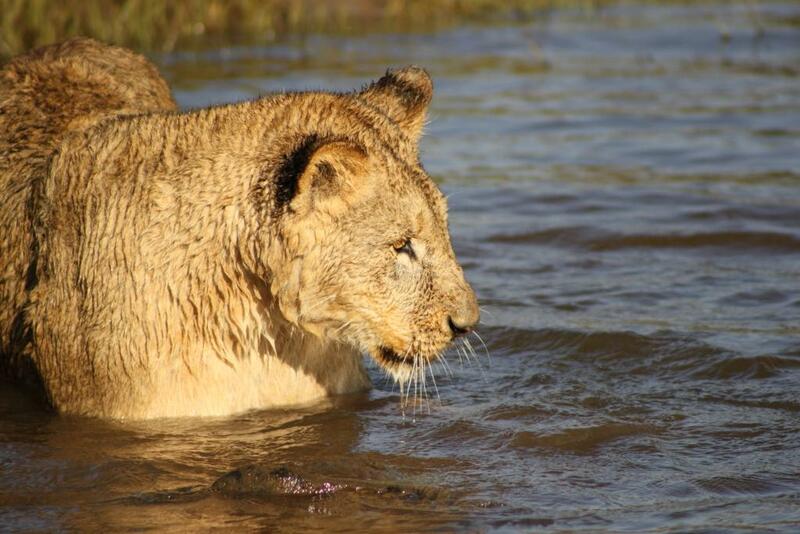 Two lions were transferred to Zambezi Nature Sanctuary at their request. One was a seven year old male (Mickey) with deformities of his reproductive system, the other was a stunted female (Alice) aged nine years old; neither lion could be released. Any more specific details needed should be requested from Antelope Park directly. ALERT has never bought nor sold a lion. 8. With canned hunting being a popular ‘recreational activity’ for some misinformed people, how do we begin to fight this in country? of the species involved, be they impala or kudu , buffalo or what. going to be important to ensure we reduce the potentially negative impacts. How do we get rid of it? Well let’s face it, despite worldwide condemnation and the actions of pressure groups towards abolition, nothing really has changed. It’s only going to work if the governments decide that the benefits to the nation of not having canned hunting are greater than having it. We are working with Zimbabwe authorities as part of a task force on regulations that is at the final draft stage to ensure that canned hunting does not illegally continue in the country, nor that it might be legally introduced. But we have to consider the Zimbabwean authority’s motivation for this. It is probably that Zimbabwe wants to maintain its wild lion trophy hunting operations as well as photographic tourism and sees the move to ban canned hunting as a way to protect both. So even though we seem to have succeeded in getting rid of one horror, a principle aim for the wildlife authorities is to be able to support another in the shooting of wild lions; which are under huge pressure from hunting in the country. Again, nothing is as simple as it might seem. We are trying the same approach with the Zambian government, but they currently see canned hunting as a viable revenue stream for them and the first operator that intends to canned hunt has now been granted permits to import lions, including white ones (they gain a higher price to shoot them) and has established an operation in the country. 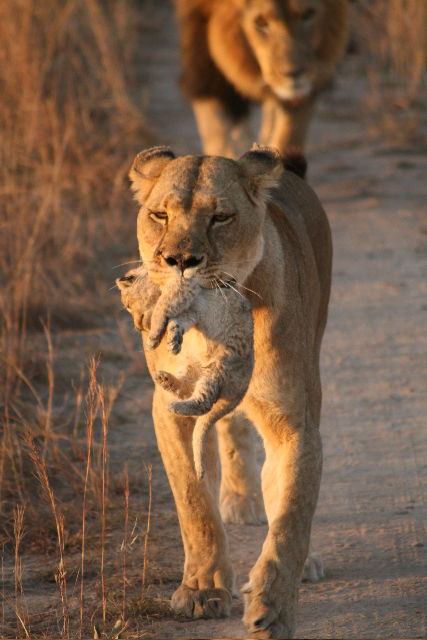 There is another operator with lions in Zambia that we think (are pretty sure) is going the same route. And I am not sure tourists boycotting a country is the answer. Part of the reason Zambia is bringing in canned hunting is because tourism arrivals are down and they are looking for diversified revenue streams to make up the shortfalls. now, we think we have success in Zimbabwe. And then we try and use the same methods to achieve results elsewhere. 9. In the program ‘Last of the Lions’ there is an extremely worrying message that the lions may go extinct. What are your thoughts on this? help they can get; to rule out options that we are likely to need seems insane to me. 10. I believe that education is one of the main ways to help prevent people from participating in canned hunting and unethical forms of tourism. What other things can be done? to visit that location? I am not sure, but it surely cannot be beyond the whit of man to do this? There are also many tourism operations that are not beneficial to the environment or ethical in their dealings; how do we regulate that? I hate this issue because I cannot fathom why someone would want to shoot an animal, but I do not have the answers of how to get rid of it (and clearly no-one else does either). And I also have to ask myself whether it is right for me to enforce my beliefs on this matter on other people when many of them clearly do not agree with my beliefs – no matter how much I wish they would. 11. Every now and then, we meet animals that have something special about them, something extra, which makes them extraordinary creatures. eg: Christian the Lion. Have you got a special lion? And can you share some of his/her story with me? lioness Phyre in the Ngamo pride is a very special to me. She is a singular lion because of her character and at one point nearly died when she got sick as a cub. She was the first lion I raised so I feel a connection; even if at this point she clearly doesn’t. She is now the dominant female in our first release pride and I am expecting her to give birth to her first litter in a couple of weeks. The cub known as AT1 in the Ngamo release site; the first ever cub to be born in the program under natural conditions is also very special. 12. 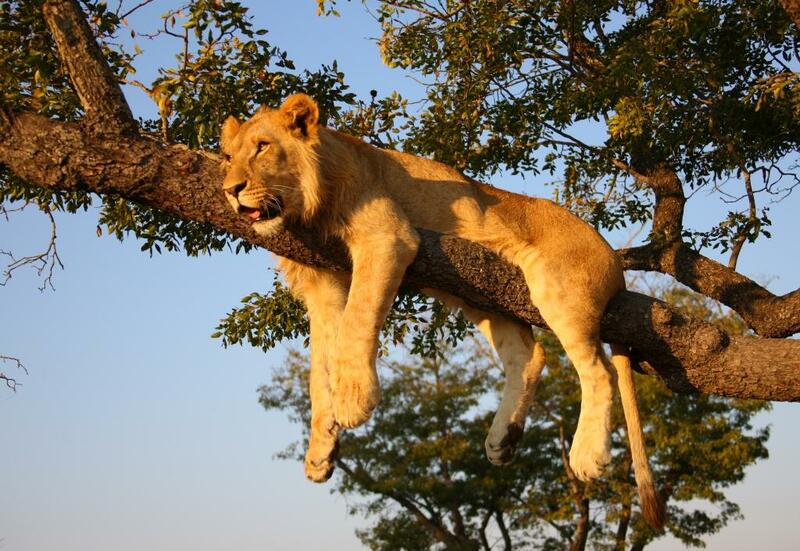 I have always had a special place in my heart for Lions, they are such a noble creature. However, with all of the threats that the lion faces, it’s now become known that lions are beginning to replace tigers, in the TCM wine. Lions are procured via the wildlife trade. Can you give me an insight into the reality of the wildlife trade of Lions? markets and lion trophies are in high demand and not always legally traded. I would not like to say more without having a better understanding of this particular aspect of lion conservation. We partner with another lion charity called Lion Aid (www.lionaid.org) that is more active in this area. I suggest taking a look at their web site; there are some interesting articles. 13. How difficult is it to avoid the canned hunting industry, and/or the corrupt elements that operate in the wildlife trade when selling on the lions? Very. It’s a secretive industry that tries very hard to cover its tracks. And there are huge amounts of money changing hands with government officials in the pockets of the operators. It’s a complete mess. 14. What is the time frame that you believe your first pride will be well and truly adjusted into the wild? We believe that our Ngamo pride is already adjusted in their environment and the Dambwa pride release very recently is doing well also. We are seeking funding to move them to a larger area so that the Ngamo release site can be made available for the next group. Land is not the issue, funding (as ever) is the issue, but we strive every day to approach every potential source to get this done. As for the release into the wild of the cubs born to our released prides, the first cub is with us now, with 3 females likely to give birth over the next couple of months. Standard protocols for reintroduction means we are looking at the release into the wild in around 2.5 – 3 years. Then the question is how long it will take them to adjust to their new wild home. 15. Part of the work that I do is to recommend ethical places of animal travel to tourists. As there will always be animals in captive environments, I ensure that places housing animals for tourism are caring for them correctly, at the correct standards, and are treated humanely. Can you guarantee to me that your facility meets all those standards?, and elaborate your reasons. “An assessment was undertaken jointly by a team comprising an independent consultant biologist and two members of the Zimbabwe Parks & Wildlife Management Authority. The team reported favourably on this rather unique and specialised activity and their assessment was generally supportive of “Walk with Lions”. (from the report compiled by Dr. R.D. Taylor, Conservation Programme Director for the WWF Southern African Regional Programme Office (SARPO) 10th January 2005). to do so by the wildlife authority.